This business-friendly hotel also offers laundry facilities, dry cleaning/laundry services, and room service (during limited hours). Onsite self parking is complimentary. Atherton Hotel is a smoke-free property. Situated in the suburbs, this hotel is within 1 mi (2 km) of Crystal Caves, Platypus Park, and Hou Wang Temple. Mt. Baldy and O'Halloran Hill Recreation Park are also within 2 mi (3 km). Along with a restaurant, this smoke-free hotel has a bar/lounge and a meeting room. Free continental breakfast, free WiFi in public areas, and free self parking are also provided. Other amenities include dry cleaning, laundry facilities, and wedding services. All 18 rooms provide conveniences like refrigerators and coffee makers, plus free WiFi and flat-screen TVs. Other amenities available to guests include room service, hair dryers, and showers. 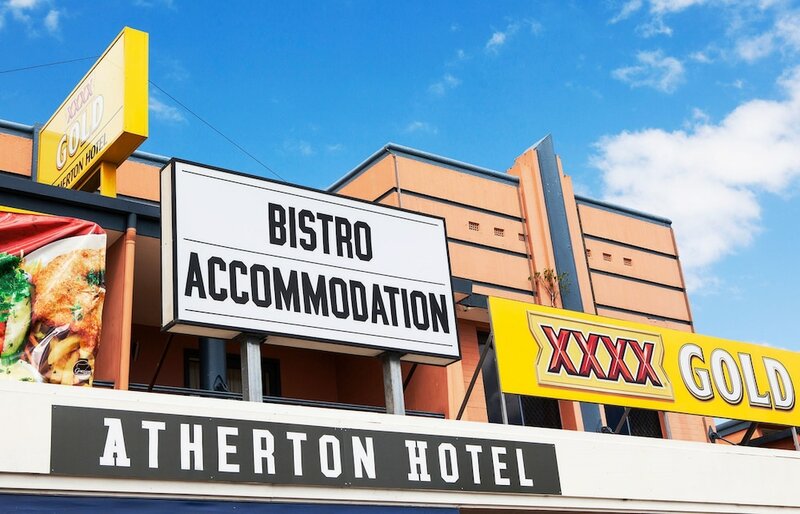 Atherton Hotel offers 18 air-conditioned accommodations with coffee/tea makers and hair dryers. Flat-screen televisions are featured in guestrooms. Bathrooms include showers. Guests can surf the web using the complimentary wireless Internet access. Housekeeping is provided daily. Atherton Hotel Bistro - This restaurant serves lunch and dinner. Guests can enjoy drinks at the bar. 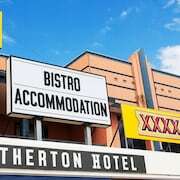 Atherton Hotel Bistro - This bistro serves breakfast only. Guests can enjoy drinks at the bar.